We are doing our part to support the next generation and make more equity of opportunity and access. These three talented and under-resourced dancers need $3,000-6,000 each to attend a summer dance program (even with scholarships). Advanced summer training is an increasingly crucial step in the field and is just within reach for these girls. This will be a turning point for them. We can't sit back and watch socio-economics stop them now. Can the world pool resources together to make a difference for three girls at a pivotal time in their lives? Can we make three dreams come true? MAURISSA (Turning 15 on Feb 24) - Madison, WI. Admitted to Pennsylvania Ballet Summer Intensive, Ballet Chicago Summer Intensive, and Oregon Ballet Theatre Summer Intensive and with this funding can decide which offer is the best fit for her artistically and financially. "My dream has always been to be a professional ballet dancer and to serve as a leader for kids in my community. Any donations I receive will go toward my room and board, flights, and tuition not covered by scholarships, and to purchase the pointe shoes I need. I would be so thankful for any help!" LILY (Turning 13 on Feb 24) - Chicago, IL. Admitted to Alvin Ailey Dance - Junior Division Summer Intensive in NYC, a city she would be visiting for the first time in her life. "I started dance lessons at two years old. Since then I knew I wanted to be a professional dancer. Dance is what I breathe and eat. It is a way of being free to me. I have only been taught by one dance school, because of our financial situation we have not been able to afford any other dance lessons. I feel going to dance with Alvin Ailey will develop my professional career so I can one day dance with a professional dance company. Then maybe one day I can inspire and give back to someone like me." CHLOE (14, Born in Haiti) - Ontario, CA. Admitted to Dance Theatre of Harlem Summer Intensive as well as Princeton Ballet School and with this funding can decide which offer is the best fit for her artistically and financially. "I love dance, specifically ballet, because it takes an enormous amount of dedication. It's something that you can never be perfect at, which always keeps you striving for more. My biggest challenge as a dancer is comparing myself to others and being realistic with what my body can do and achieving my personal best." She is excited about the possibility of attending DTH because, "This summer intensive is any amazing opportunity to train with other dancers of color." There are shockingly few pre-professional opportunities for dancers of color and even fewer for dancers with financial difficulties. Single-parent and multi-child households, in particular, are asked to make heartbreaking sacrifices to keep their kids dancing and summer training is nearly impossible. They are selected but are rarely able to actually attend. We are going to change that this year! Scholarships for summer intensives do not cover all tuition, travel, room and board for the 5-8 weeks, nor the necessary but expensive dancewear for growing girls. 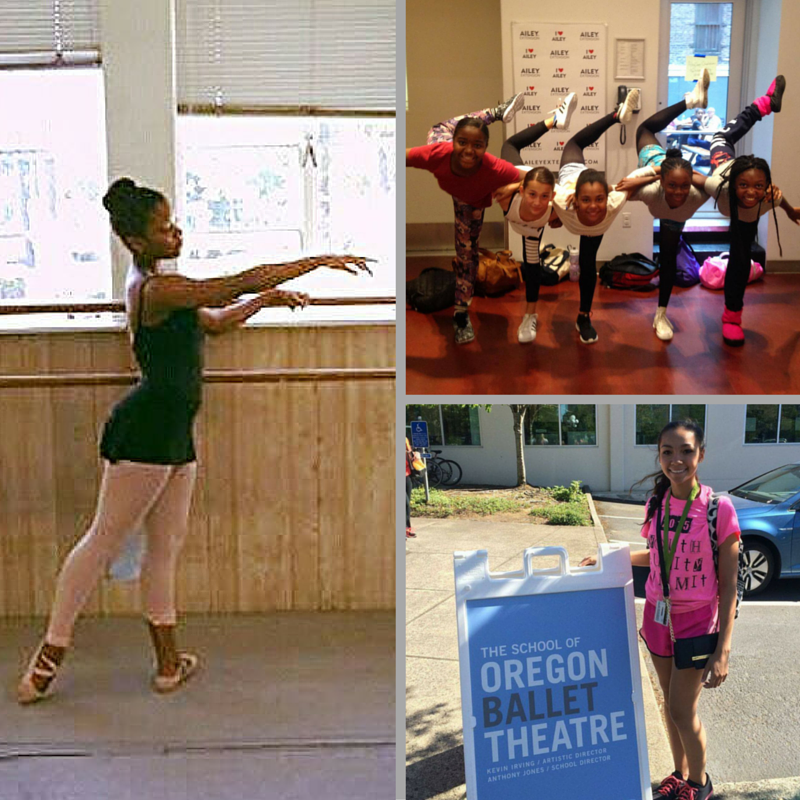 Here, we have identified three future dance leaders from around the country who have auditioned and been selected for specialized summer programs with scholarships. We are immensely proud of them and have pledged not to let them down. *If you prefer to use PayPal, Chase QuickPay, or check in order to help us avoid small processing fees on our end... this is easy to arrange. Use or contact lentshawn@gmail.com. We will update this page with all donations sent through alternative means. **I am collecting donations on behalf of Maurissa, Lily, and Chloe. 100% of all funds go to their summer training programs. The girls are doing great! 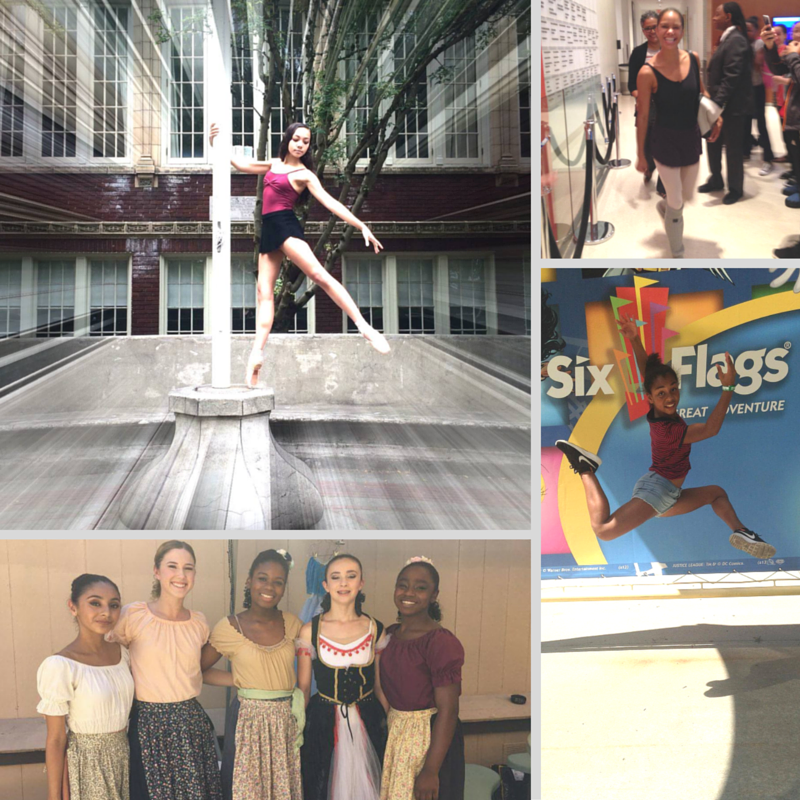 Lily recently had fun day out at Six Flags with her Alvin Ailey crew and even got to meet Misty Copeland in New York! From Chloe, who just finished her program: "At my time at Anaheim Ballet's intensive, I got to train in many different styles of dance. We also had classes/lectures from professionals in other fields like: sports psychology, nutrition, voice lessons and acting coaching. For our end performance, we learned Paquita, which is a staple in ballet companies all over the world. I had an amazing time this summer and would like to thank everyone who supported me." The gratitude runs through every pointed toe and smile. 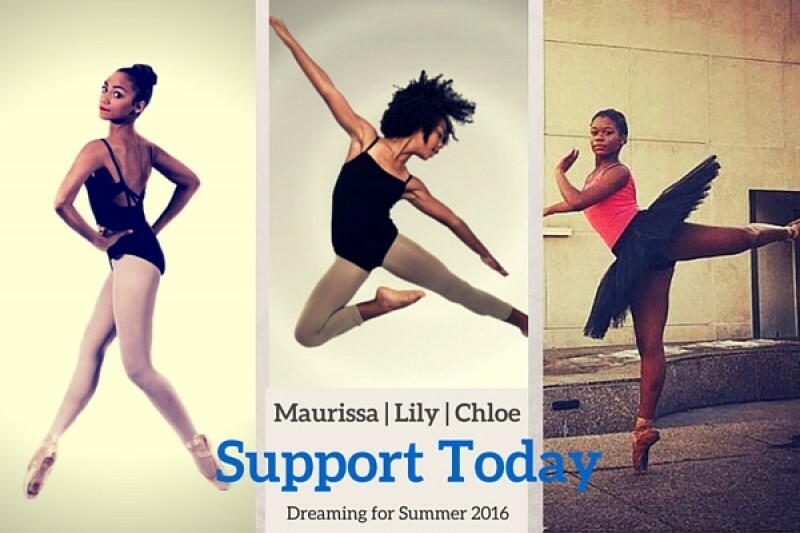 Thank you to the supporters who are helping to make advanced dance training a more diversely accessible option. They made it! Thanks to your help, all three girls have begun their dance intensives programs this week. Because we didn't raise as much as we needed, the families have been shouldering costs for food and accommodations. Thus, we are still accepting donations. The girls are all leaving for their programs in the next couple weeks! Thank you for making this possible! But they really need help with NY Metro cards, gas, and meals (groceries or restaurants in NY, Oregon, or So Cal). Their families have all taken on debt to fill the gap with the airfare and housing costs they've incurred, so please help if you can. Hope these dances get to go! Summer intensives were so much fun...and a lot of work! Congratulations on your acceptances. I know the competition is fierce out there. I wish you ladies the best! Much luck to you ladies!